Welcome to the Bangkok Travel Guide. Before I start this article there are a few things you need to know. I am not trying to cover all bases in this post, just sharing the experience of two first-timers in Bangkok. Having spent just over a week in the city, we had a number of learnings and experiences that I think will be helpful to others. We are not budget travellers. We are money conscious, but not seeking the cheapest places or things to do. Equally we do not aim to travel in luxury. Our home comforts of choice are an en-suite and air-con. Anything else we will compromise on. This was the start to a 13 week sabbatical, so we had alot of time to play with. 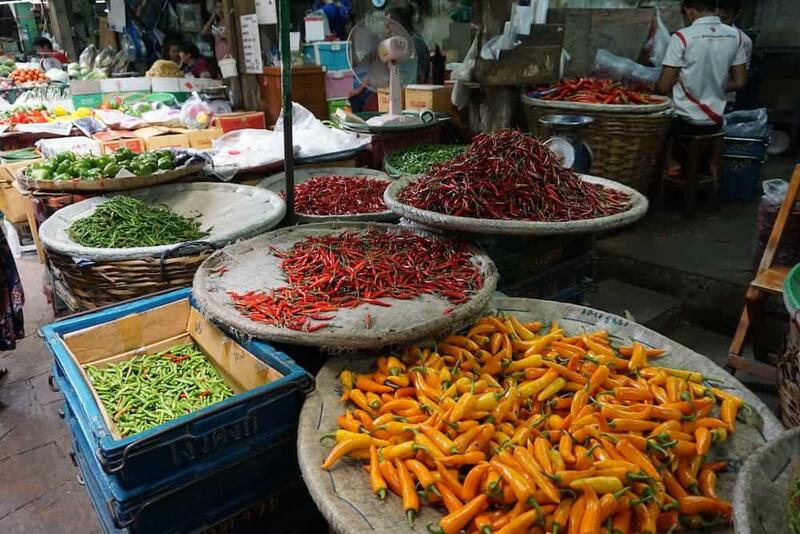 So without further ado, here is the Bangkok Travel Guide…. Where to stay in Bangkok will come very much down to your personal travel preference. Want a great nightlife? Then you’ll want to be in the mix with all the backpackers near the Khao San Road. Want somewhere to chill out? Then grab an apartment near Lumphini Park and join one of the many Tai Chi clubs in the evening. If you have time, I would suggest booking the first few nights before you leave home, and then changing to a different part of the city later in the week so you experience Bangkok from different angles. For the best guide of where to stay by area in Bangkok then read this fantastic post over at NerdNomads.com. This is exactly what we used to choose our apartment for the first few nights in Bangkok. THE OLD CITY: Backpacker area which includes Khao San Road. Don’t let this put you off though, there are lots of great places to stay here away from the crowds. There is no public transport nearby, so you will have to use boats, taxis of tuk-tuks to get in and out. 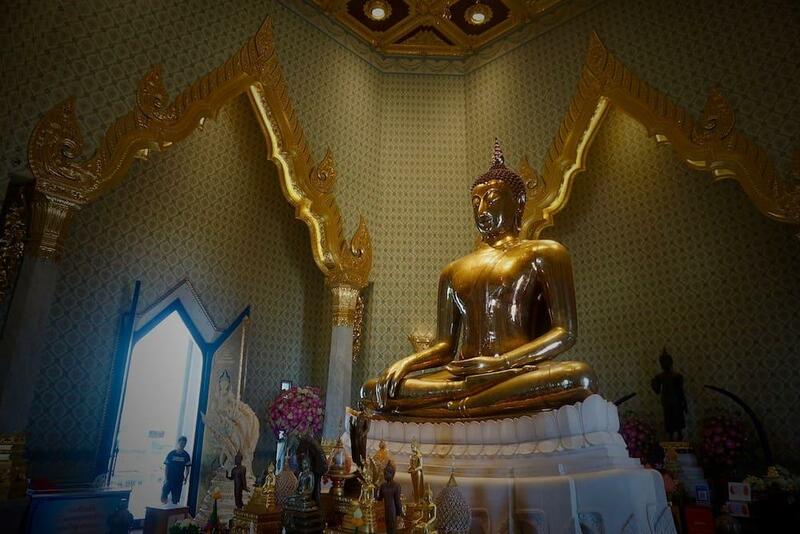 Once you’re in you have alot of the main points of interest such as the Grand Palace and Wat Pho. SUKHUMVIT: Good nightlife, lots of dining options, easy access to the Skytrain (BTS), area is spaced out so walking is often required. 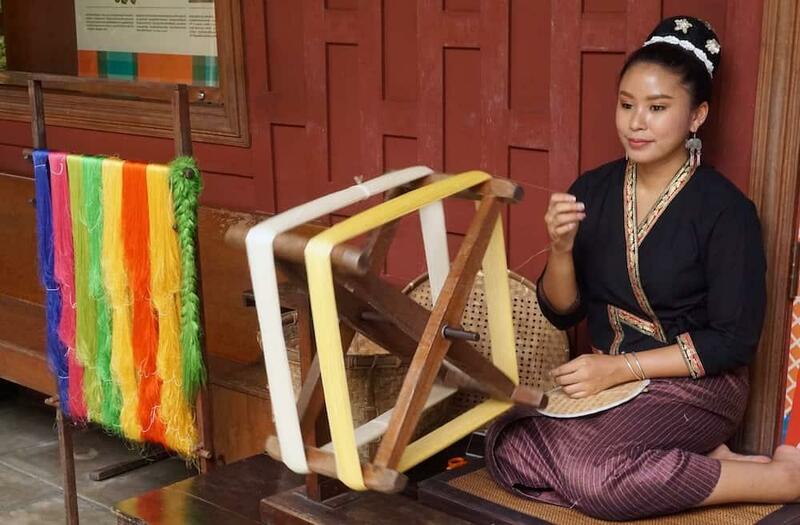 SIAM: Good for shopping, easy access to BTS and has attractions such as The Jim Thompson House and Suan Pakkad Palace. 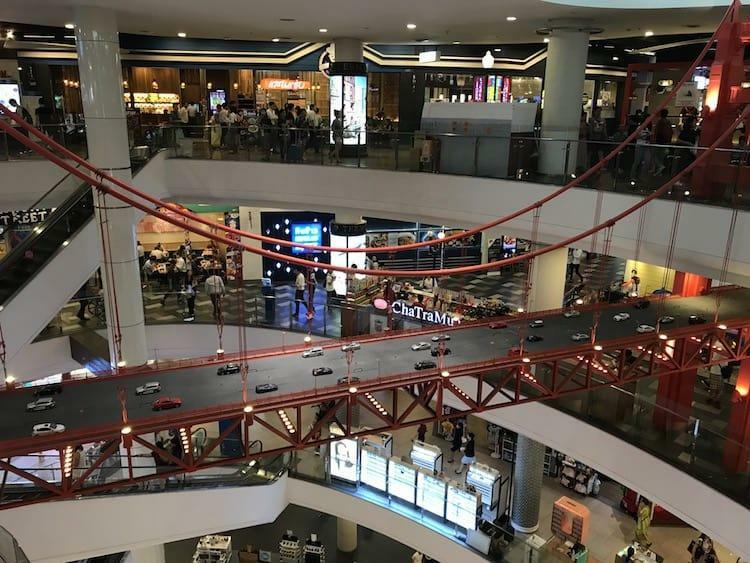 Siam Mall is huge, and has one of the world’s biggest aquariums rights beside it. SILOM: Good introduction to the city. Easy access to BTS and Metro (MRT). Access to Lumphini Park, and lots of great restaurants. RIVERSIDE: Beautiful views, relaxed, more expensive, easy to access the Old Town. 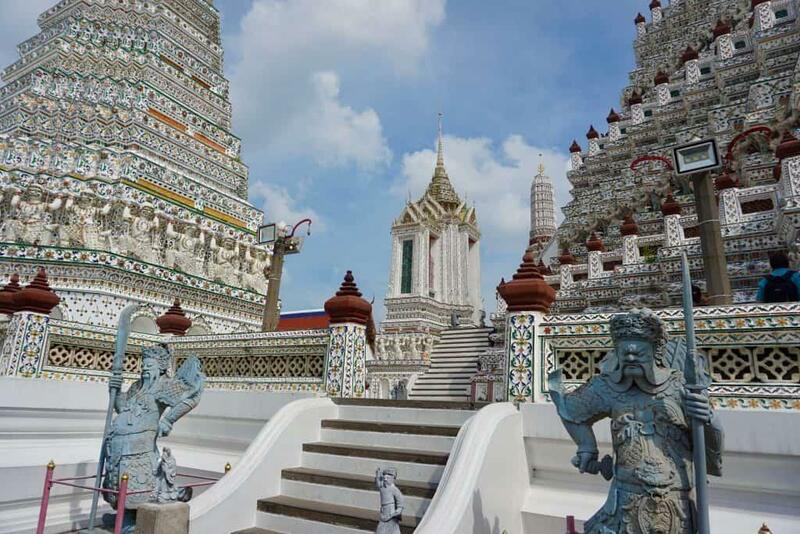 Has attractions such as Wat Arun. 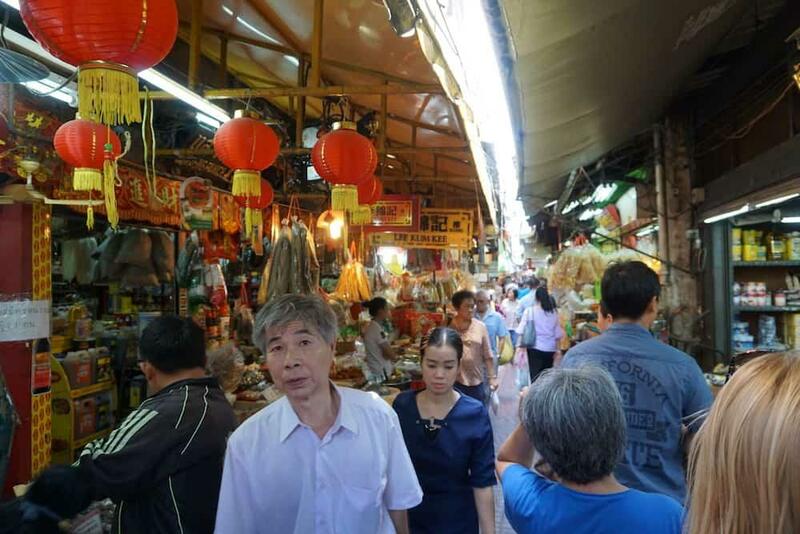 CHINATOWN: Great markets, and street food, though very busy. 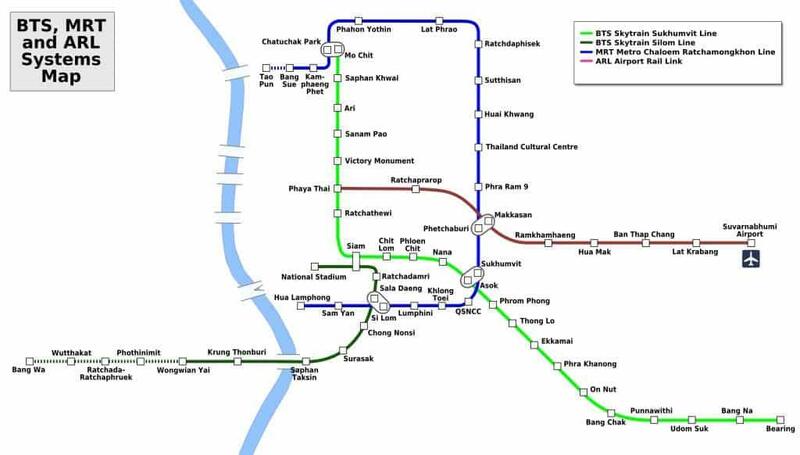 Good access to Hua Lamphong station if you are planning to head out to Ayutthaya or Lopburi. 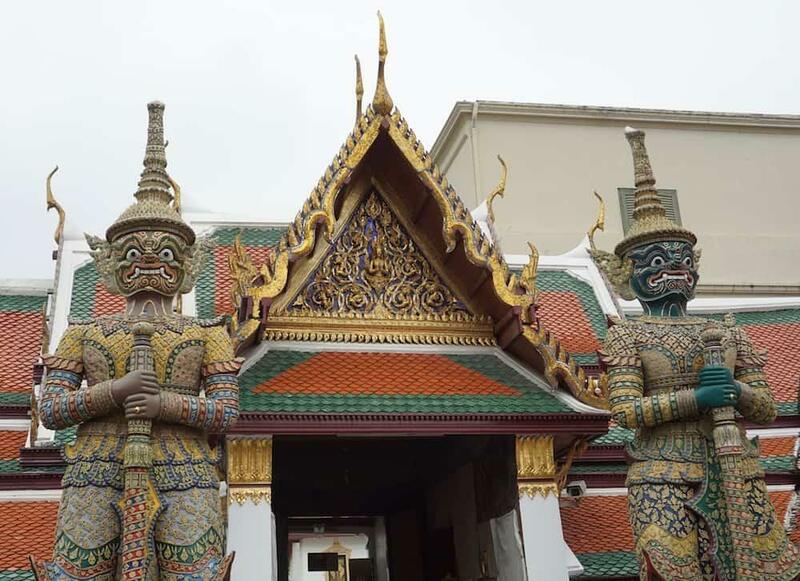 We stayed in two different apartments whilst in Bangkok – Four nights in Silom and two nights in the Old Town. We started our trip beside Lumphini Park. This was a great way to get to know the city without being right in the thick of it. 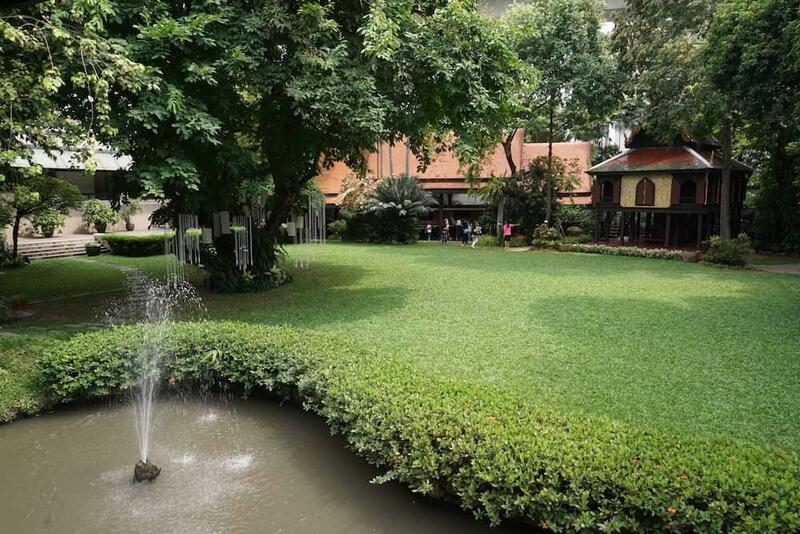 We had the beautiful park to retire to every evening, and it has great public transport links with the Si Lom metro station and Sala Daeng skytrain right by the southwestern corner of Lumphini Park. We then moved on to be right in the heart of the city, in a little apartment overlooking Wat Pho. 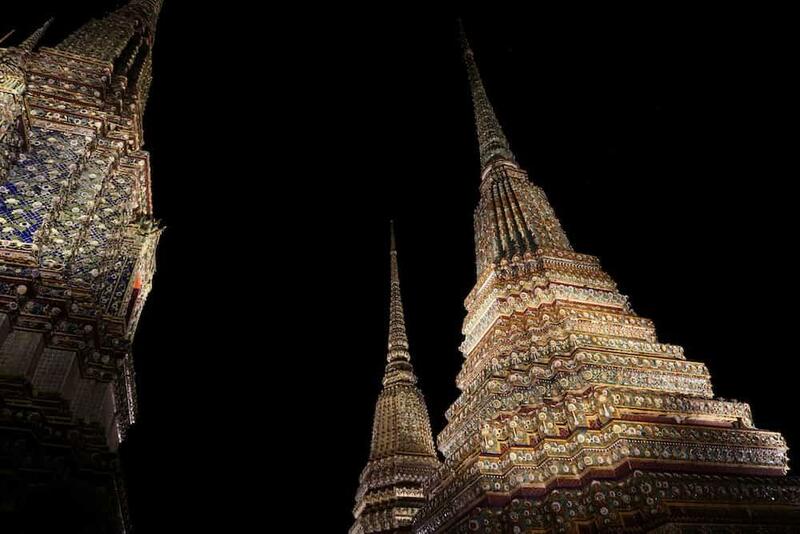 This made it easy to see all the key attractions in central Bangkok, and experience the night life. Probably the most expensive place we stayed on the 13 week entire trip, but we wanted a few nights to acclimatize to Asia after our flight from the UK. Big rooms, with a separate seating area and kitchen. We normally book places with kitchens so we can cook at home and save money. We quickly discovered eating out is actually cheaper in Thailand! The location is fantastic. 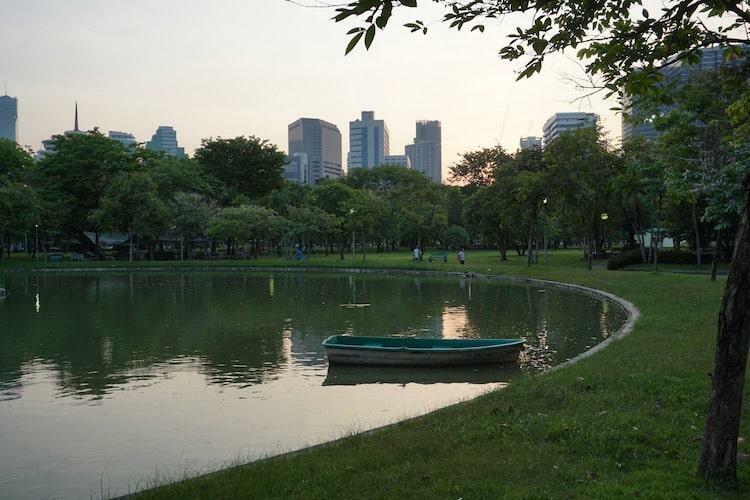 A 10 minute walk to the metro and skytrain stations (Si Lom and Sala Daeng), and 5 minutes to the beautiful Lumphini Park, a great place to escape the craziness of Bangkok. Next door is a great food court called the Pink Garden, which serves Thai street-food dishes and fruit throughout the day. Alot of the places shut down in the evening, it seemed mostly focused on breakfast and lunch, but there are still enough stalls open late on to get dinner. The food is wonderful, better than any Thai restaurant in the UK, and most dishes costing only about 50฿ (just over £1!) The English isn’t great here, but most of the menus have pictures and English descriptions on the, so it’s easy enough to point out what you want. Opposite the apartment is a small mall which contains a little supermarket, Boots pharmacy, a bakery, a cafe and some clothing stores. A perfect place to head for supplies, and to pick up anything you’ve forgotten before heading further into Thailand. This was much more basic than our first place, but also alot cheaper, just a single room, with en-suite. The shower and air-con both worked really well, which is a must in Bangkok! The big downside was the mattress, which was made of leather, and very hard. It made sleeping quite uncomfortable, especially in the heat. What it lost in size though, it more than made up for in location. The photo above was taken from our room (number 306 if you’re interested!). 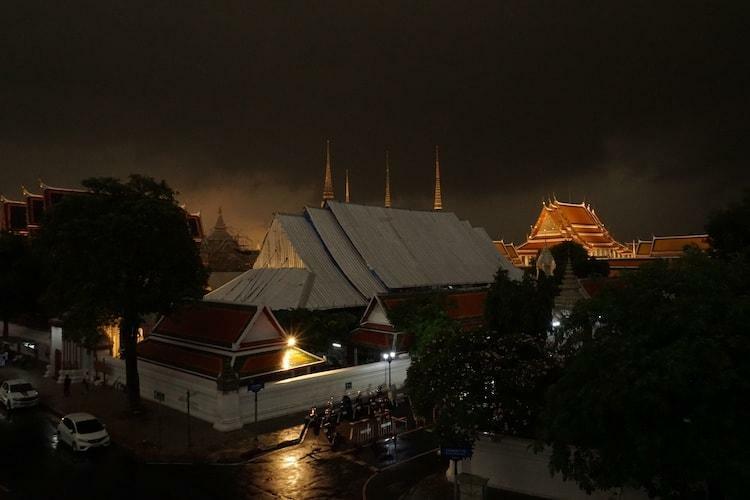 That is Wat Pho, one of the biggest attractions in Bangkok, and we had a view of it very few people are ever likely to see. The cafe downstairs was also great, opening at 8am every morning with very friendly staff. Coffee was about 55฿ a cup, and it had a Western menu alongside the Thai food if you need a change. I’d recommended the panini, a welcome relief from hot Thai curries, and they’ll set you back about 120฿ each. For most cities this section would be a really important, but for Bangkok, it seems almost irrelevant. Eat local Thai food. It is cheap and incredibly tasty. If you decide to stick to a Western diet you will find your food bill to be more expensive, but that is only in comparison to eating Thai food. Compared to the equivalent food back home it will still be less than half (if not more) of what you are used to paying. For snacks and water then head to any one of the number of streets vendors or 7eleven stores that seem to be on almost every corner. It is not considered safe to drink tap water in Bangkok, so make sure you keep enough bottled water with you. Don’t let looks deceive you, the food here is amazing. With a choice of nearly 30 vendors, it’s easy to find something to suit you. Just choose from the menu and sit down at the hundreds of seats in the middle and they’ll bring it over. Incredibly cheap, we were paying around 150฿ for two dishes and some rice. Cheesy MIDI piano music, good food, but over double the price of Pink Garden. Worth it if you want to sit in the comfort of air conditioning but the food wasn’t really any better than what you’d get on the street. 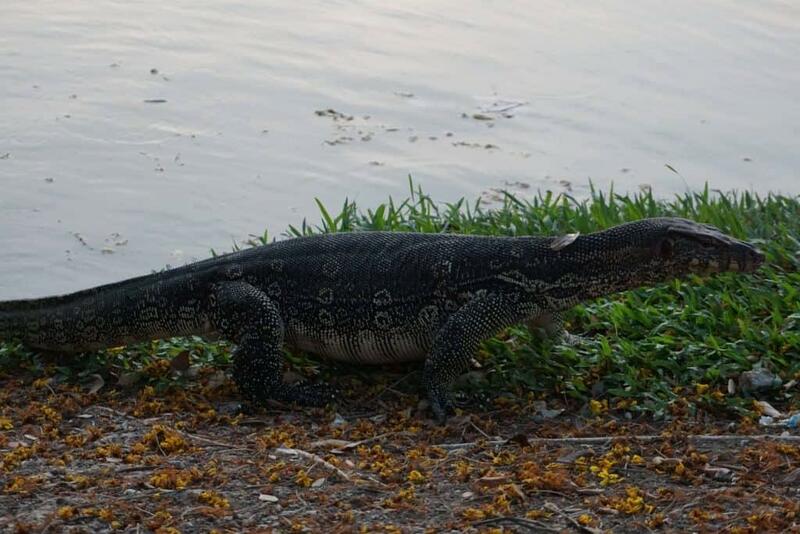 This place gets amazing reviews, so it drew us to the far side of Lumphini Park one night. It’s so good it actually makes the Michelin Guide! Despite this the prices were still really low. On our last night in Bangkok we fancied a treat, so here it was – Err. It felt like Thai crossed with tapas, lots of tasty mini dishes. Much more expensive than anywhere else we ate, but it felt worth it to experience something different. A week or so in to our trip we were both feeling a bit unwell so decided we needed a hit of western food. We came to this place on the promise of awesome pizzas and it didn’t disappoint. Pricy compared to the other food we’d eaten, but hardly a surprise given it’s location right by the Grand Palace. Hidden down a back alley behind the Grand Palace, this place felt like sitting in someone’s front room! Fantastic dishes, home-cooked. Would highly recommended the fried pork parcels. Really cheap given it was right in the heart of the main tourist area. I’ve put this in our order of favourites, but we all have different tastes, so use this is a base to form your own list. We had seven days in Bangkok, so you may have to tailor your approach if you are here for less time. There are still lots of places we didn’t get to, and you will see notable omissions such as the Khao San Road, a place we were never really too bothered about seeing. 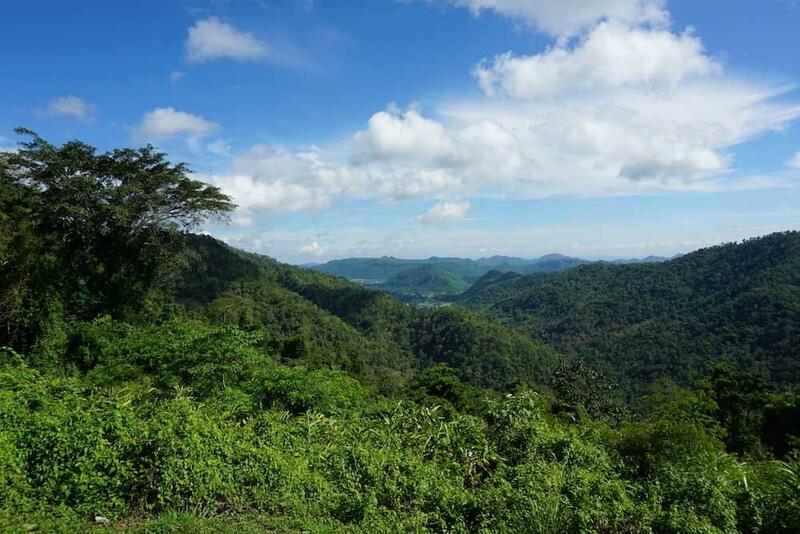 If you want something completely different to Bangkok, then a trip to the Khao Yai National Park is an amazing alternative. Trains go from Hua Lamphong station to Pak Chong at only 186฿ per ticket. The journey takes around 3 1/2 hours. We went on two tours with the amazing Greenleaf Guesthouse and Tours. They picked us up from the station around 1400, and we headed out for a night tour in which we saw two million bats leaving their cave and swim around in some hot springs. The following day was a 12 hour trip to the National Park itself, where we went to waterfalls, on game drives where we saw gibbons and hornbills plus a two hour trek through the jungle. We decided to stay an extra night, but you could get the train back to Bangkok in the evening and only be away from the city for one night. The ancient capital of Siam, destroyed by the Burmese in 1767. 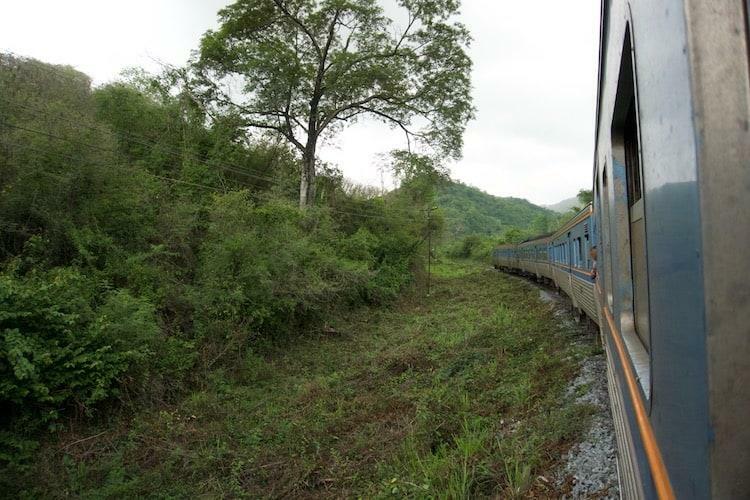 Easily visited as a day trip from Bangkok, with regular trains taking only an hour and a half. The city itself is not great, but the ancient ruins in the centre are amazing! We would suggest hiring bikes, as the various temples are a long way from each other. Another ancient city, but the selling point for this one is that it has been taken over by monkeys! 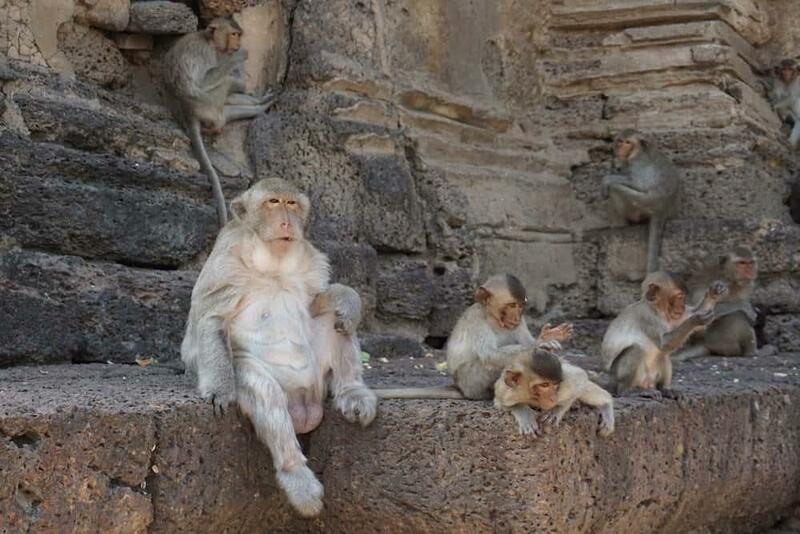 There is not a massive amount to see here, it is not much more than a day trip, but it is almost unbelievable to see how many monkeys are around. It is about another hour on from Ayutthaya on the train, so it might be worth combining the two. 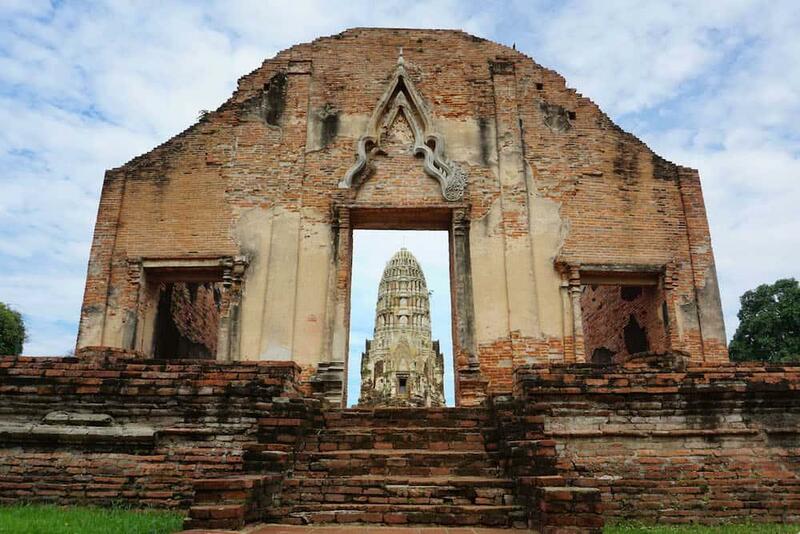 An overnight stay in Ayutthaya with a the train up to Lopburi the following morning, and then getting an evening train back to Bangkok will work out perfectly. There are lots of choices of transport when you are in Bangkok. I have listed below the ones we used most often, and some helpful pointers to go with them. This was our favourite form of transport in Bangkok. It is cheap, cool, clean and easy to navigate – and no negotiation with drivers! All the stations have touch screen self-service ticket machines, that can be switched to English and make it really easy to work out where you want to go. You will be issued with a small, round, plastic token which you press onto a sensor by the gates at your station of entry, then drop into a slot at your exit station, where it will be eaten up. The only downside of the metro and skytrain is that they do not stretch into as many suburbs as you will find in cities like London. Some of the busiest area such as The Old City and Chinatown, do not have a station anywhere near. Read this fantastic article by Langeasy.com to see which the metro and skytrain stations have tourist attractions nearby. We found them more a novelty value than a useful means of transport. Generally more expensive than taxis, and quite dangerous if something does go wrong. They are good fun, but not alot more than that. Taxis are everywhere, but the prices vary massively depending on your ability to negotiate. All articles about bangkok say ‘tell them to put the meter on’. This is much harder in reality that it is in practice. Away from the airport and major stations (where I believe they get checked) we struggled to get a single taxi driver to put the meter on! Make sure you do the negotiating beforehand, and don’t get in until a price is agreed. You can then walk away if it doesn’t work out the way you want it to. After a while you will end up with a good idea of the going rate. The boats are a useful way to navigate around the old city and riverside, as there are no metro or skytrain connections. For example, if you wanted to use the metro system to get to somewhere like Wat Arun, Wat Pho or the Grand Palace, you could get off at Hua Lamphong (the last stop on ) and then walk to Si Pha Ya Pier. From here it is easy to get boats to the key attractions. Make sure you specify ‘taxi boats’ or you might find yourself on a much more expensive tour boat. All the above mentioned points are on the map path the bottom of this post, highlighted in red. There are lots of different scams in Bangkok, most of which seem to centre around cab and taxi drivers. Two of which we got drawn into, but managed to getaway without it costing us too much! Read this page on the ‘5 Best Known Scams in Bangkok‘ before you leave so you don’t get caught out. On our first full day in the city we decided to walk from our apartment up towards the Jim Thompson house. As we were crossing a busy road a well dressed Thai man came up to us and started to have a chat. We thought nothing of it really, just assumed he was being friendly as he didn’t seem to have anything to sell. He asked us where we were going, and said that it got really busy at this time of day, and it was best to leave it until later. He claimed to work for the police doing criminal record checks, and said the next neighbourhood was pretty bad and it was best to get the Skytrain rather than walk it. He then started to recommended some other things to do, namely what he called a ‘fashion festival’ and a trip along the river. At that point a tuk-tuk drove by and he offered to speak Thai to help us organise it. Before we knew it we were in the tuk-tuk and at the fashion place. It wasn’t a festival, just a tailor shop! A guy tried to measure me up for a suit, but we politely declined and got out of there. The tuk-tuk driver then took us to a boat tour, which cost 1000฿ each. It was actually pretty good, and it turns out that that’s about the going rate, so we didn’t feel too hard done by, and then carried on our day with a trip to Chinatown. We kind of got scammed, but managed to get out of it before we’d spent too much money. This turns out to be a fairly well known approach in Bangkok, and the drivers get paid for showing people to the shop. We actually then saw the well dressed man and tuk-tuk driver together the following day, so it was clearly not a coincidence that he had turned up! The ‘Grand Palace is closed scam…. Another really common scam, which if we’d known about we would have avoided. 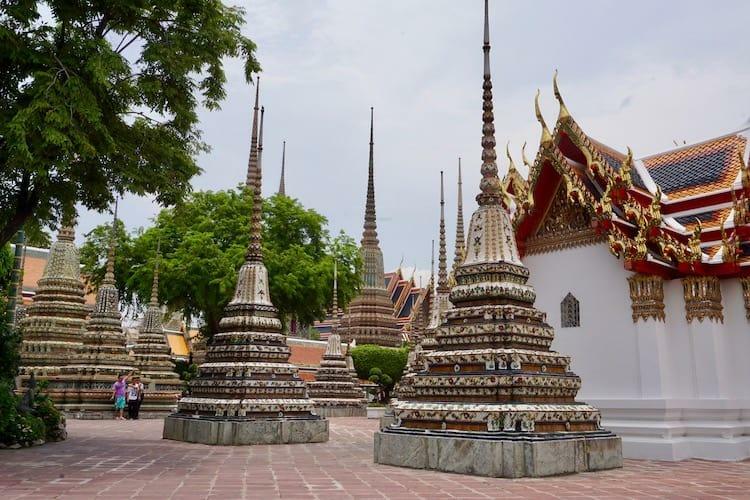 When we first headed into the main part of Bangkok we first visited Wat Pho and then walked round the back by the river towards the Grand Palace. A man approached us and told us there was a big royal ceremony at the Palace, and it was closed today. We walked off before we heard him say anything else. 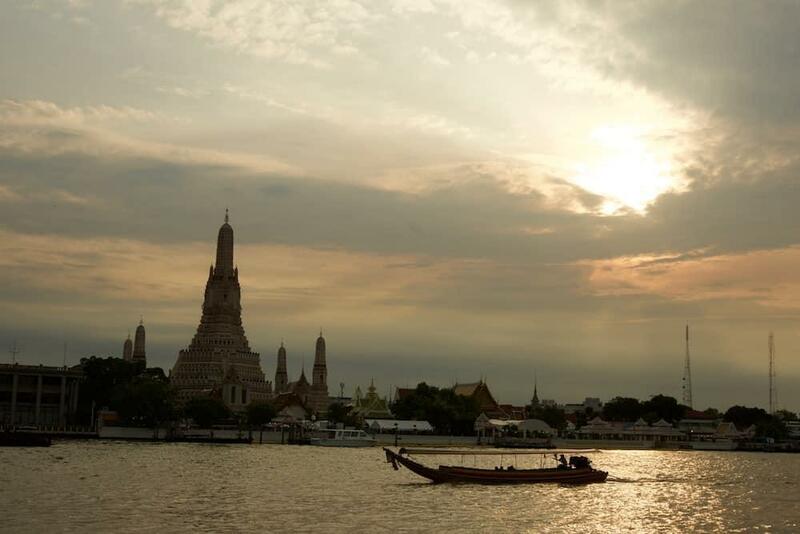 A bit disappointed, we instead got the boat over to Wat Arun and finished our day over there. It turns out this is a fairly common scam. A long way from the entrance, tuk-tuk drivers convince tourists the Grand Palace is closed and then offer them rides out to other parts of the city, inevitably ending in them being dropped off at a family shop or fashion house which they will get paid for. We walked off before we heard the offer of the trip, so managed to avoid it by luck rather than judgement, but it did mess up our plans a bit! However, it turned out that Wat Arun was absolutely stunning, so somehow the guy actually managed to do us a favour, and we popped back to the Grand Palace a couple of days later. And not just for the obvious reasons of cheap bottled water and snacks. They have the best air-conditioning in the city! If you’re starting to over-heat then pop in for ten minutes to cool down. 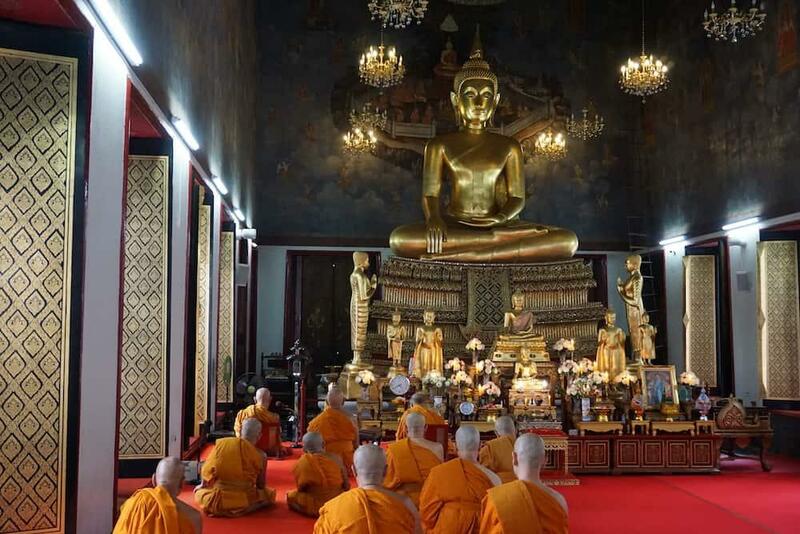 There are hundreds of temples to visit in Bangkok, and not just the famous ones mentioned above. There are rules to be followed though, or you may not be let in. Generally this means having your shoulders and knees covered, though these are enforced to varying degrees of strictness depending on where you are. They also seem to be more heavily enforced if you’re female. To save you getting to hot the rest of the time, try buying one of the cheap (100฿) elephant pattern skirts or trousers that are on sale everywhere, and pack it into a rucksack to wear when you go in. It can be intimidating to use the public transport in a new city, especially when you don’t speak the language, but the sooner you try the Metro and Skytrain the better! It’s air-conditioned, easy to navigate and cheap. We were paying 19฿ for a couple fo stops, much cheaper than the equivalent in a tuk-tuk or taxi. All the stations have self-service touchscreen tickets machines, which can be changed to English. It makes it really easy. You will be issues with a small coin-sized plastic token, which you press against the sensor at your station of entry, and then put into the slot on your station of exit where it will be taken from you. This might seem like an obvious one, but the prices for taxis and tuk-tuks vary wildly in Bangkok. This seems to depend on your confidence and ability to negotiate as much as anything! Do your negotiating before you get in, and then you can always walk away if you’re not happy (this will more often than not get them to agree the price). Don’t let them put bags in the boot before you start, otherwise you might be forced to take the trip. If you can convince the taxi drivers to turn the meter on, then this is the best way, however this can be pretty difficult if you’re not at a major transport hub such as the airport or station. Tuk-tuks are particularly difficult to negotiate with, and will often start as high as 300฿ for a journey you’d paid 50฿ for the day before. And if all else fails, remember that either way it’s really not alot of money compared to that you’d pay in other capital cities! Click on the map below, and if I’ve written an article about a place, there will be a link to it. I hope you have found this Bangkok travel guide useful. 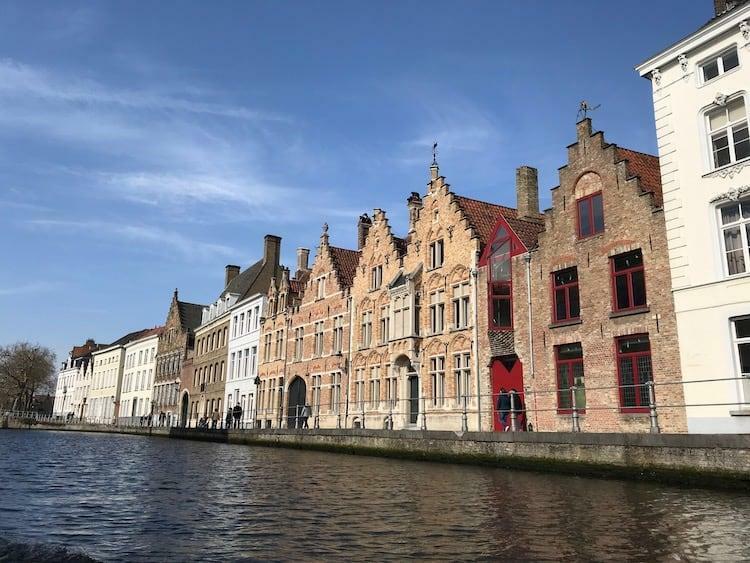 It was our first time in the city, and we were only there just over a week, so if you have any handy hints and tips then why not add them in the comments below?